For What It's Worth: YA Mini Reviews! Are you ready for a little love at first sight, teenage secret assasins, vampires and some football?? 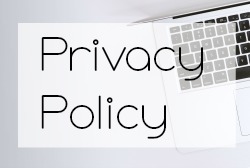 I hope you don't mind the shortened reviews but I've been doing a lot of reading and not so much with the reviewing so I'm playing a little catch up. I highly recommend Catching Jordan, my first read of 2012 - yay it was good one!! A good reading omen for 2012 I hope. Review: Get ready for the hype. "Best book ever." 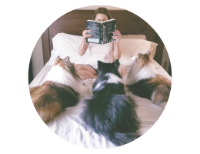 The Statistical Probability of Love at First Sight is the kind of book bloggers love. It has romance, a swoony guy with an accent and a foreign setting. It's an adorable book - very reminiscent of Stephanie Perkins and Anna and the French Kiss. Hadley and Oliver are great characters who are dealing with family issues when they cross paths. There is a surprising amount of character development and depth to a story that takes place over only a 24 time period. I wouldn't go as far as best book ever or even of the year but it swept me away in a sea of romance. To her surprise, he lowers his face so it's level with hers, then narrows his eyes and touches a finger lightly to her cheek. 'Eyelash,' he says, rubbing his thumb to get rid of it. 'I made it for you,' he says with a smile so crooked it makes her heart dip. Is it possible she's only known him for ten hours? He looks at her and smiles. 'You're sort of dangerous, you know?' She stares at him. 'Me?' 'Yeah,' he says, sitting back. 'I'm way too honest with with you." I couldn't help feeling like I stepped into the movie Pleasantville. This is a YA contemporary but I felt at any moment there would be a secret reveal that we were in fact in a time warp. Everyone is so sweet, supportive and kind in that small home town kind of way. That's a good thing because Emma and Nicolas face a heartbreaking test to their love and commitment to each other when he is diagnosed with Leukemia. This book radiates goodness and hope which could come off as corny but it feels real. Blue Sky Days is a good book for readers looking for a heartwarming story about second chances, faith and the power of love. Source: Review copy provided by the author for my honest review. 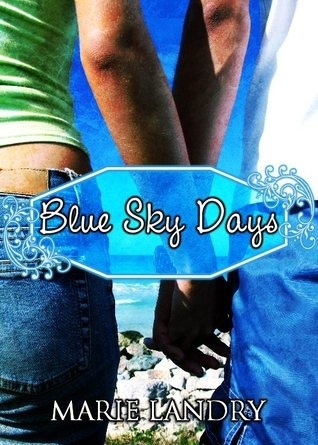 Blue Sky Days Blog Tour - launches January 17th! 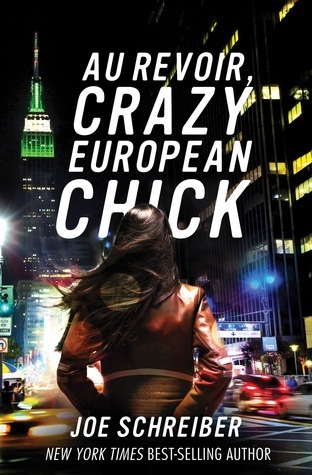 Review: I was hoping for a bit more with Au Revoir Crazy European Chick. It was definitely fun and fast paced but there wasn't much in the way of character development. Perry and "more than meets the eye" exchange student Gobi almost take a back seat to the action. This book would make an awesome movie and is already under development with Paramount Pictures. WARNING: *spoilery if you haven't read Jessica's Guide to Dating on the Dark Side yet. 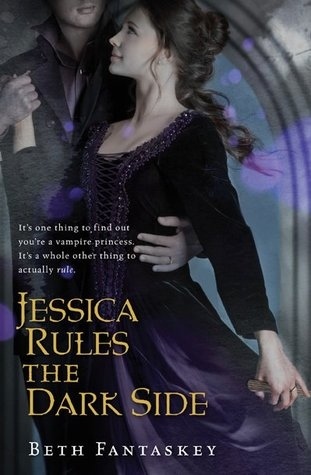 Review: Jessica is now married to Lucius and is learning how to be a Romanian Princess and future queen to the vampires. Jess is having a hard time coping with the vampire laws and cruelty, after all just a little while ago she was a teenage girl living in America and a vegan. Jessica Rules the Dark Side is told in alternating POV's between Jess, Lucius, Raniero, and her BFF Mindy. Between Jess being too timid to the point of almost starving herself because she's afraid to ask the servants for food and Mindy whining about how she wants a guy with money to come rescue her because she's failing in school, I was ready to toss this in DNF pile. Then at the halfway point Lucius's life is on the line and Jess finally gets her act together with the help of Mindy and Raniero. Honestly it was Raniero who made the book for me. We get a look into his violent past and find out how he became a peace loving, surfer dude of a vampire. There was a lot of character growth and political intrigue in the second half that made up for the frustrating first 100 or so pages. Jessica's Guide to Dating on the Dark Side is FREE on Amazon Kindle right now! Review: What a fun, original YA contemporary! The camaraderie between female football captain & quaterback Jordan and her male teammates was hilarious and touching. She's their leader and one of the guys. When Jordan is instantly attracted to the new hunky back-up quarterback, she finds herself confused by all these "girl" emotions that she's never had before. Not to mention Ty may be out to steal her position. Throw in ANOTHER (swoonier IMO) boy and you have yourself some relationship and team drama! I would recommend this to older teens because of language and sexual situations but the one thing I really loved about Catching Jordan was the inclusion of a caring family and close friendships. Jordan is a strong example of a female character who stumbles a bit along the way but has a good heart & head on her shoulders. I just ordered SPoLaFS (whew!) and Catching Jordan last night. Your reviews have meeven more excited. Love the mini-review format! wow several mini reviews. I like it. Short and cut to chase. The Statistical Probability of Love at First Sight sounds really good. @Ana Lucia - Don't be afraid. It's not horrible. It just took a little while for the story to kick in. For me anyway. @Missie @Andrea - I'm pretty sure The Statistical Probability of Love at First Sight or tSPoLaFS for short! lol) is going to be a huge hit in the blogosphere! 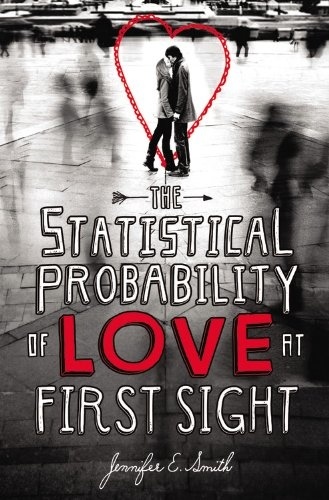 The Statistical Probability of Love at First Sight - the best book ever? Wow, that is some recommendation. Having entered a giveaway (Uk only I'm afraid) to win this book I'm hoping to read it myself. Best wishes to you and yours for a great 2012 Karen, all the best. @Petty - Oh no! I wouldn't call it the best book ever.....I thought it was cute though. It's just that kind of book though that bloggers are going to love and I already saw a few put it on their favorite lists this year. I'm really anxious to read The Statistical Probability of Love at First Sight and Catching Jordan, I've heard so much about them. Heeheehee..."What's a 4 letter word for a cooling plant?". "Uhhh...weed?". I'm fairly certain I just misquoted that whole scene, but you know what I mean. I was just about to start the Statistical Probablity! And now I will most definitely read it. Squee for good reads in the new year! I loved The Statistical Probability of love at First Sight, and also Catching Jordan. I should check the other ones, because I like the sound of them. I like the mini reviews! Blue Sky Days sounds good, but maybe too sad for me : ( Catching Jordan sounds really unique and I like what you said about the character development in Love at First Sight. That sounds like it would be hard to do in the time constraints the book takes place in. © For What It's Worth: YA Mini Reviews!